After largest Methane Leak in US History, will California Ban Fracking, go for Solar & Wind? A natural gas well that leaked over four months in California is finally under control, paving the way for the “road to recovery” and justice. The Aliso Canyon gas facility in Porter Ranch, California, just 30 miles from Los Angeles, leaked 96,000 tons of methane into the environment, forcing thousands of families to relocate. While the financial costs of this “environmental and public health catastrophe” are still being tallied, according to residents – who previously complained about nausea, headaches and other symptoms – the smell of gas has finally dissipated. From California to Michigan, communities are vulnerable to neglected infrastructures and their environmental impacts, and are calling on leaders to step up regulation that puts their health and safety first. The state of emergency in Porter Ranch is over, but its environmental impacts can’t be undone. The California methane leak is said to have released the equivalent of pollution caused by 4.5 million cars on the road each day. 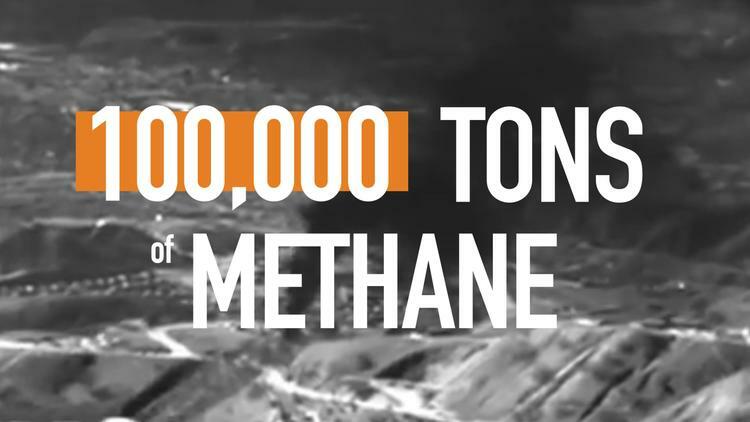 The methane leaking from Porter Ranch can be tens, hundreds, or even thousands of times greater than that of carbon dioxide and have drastic consequences for the climate. In communities nationwide, environmental negligence is putting people’s health in jeopardy. In Porter Ranch, thousands of families experienced medical symptoms like nausea and headaches caused by the methane leak, while in Flint, Michigan, the water crisis has exposed thousands of children to lead. Cutting corners and environmental negligence on regulatory protocols are putting vulnerable people in harm’s way. Tapping into the low carbon transition would keep people safe while allowing the economy to prosper. According to the International Renewable Energy Agency (IRENA), if the world doubled its current market share of renewable energy to 36 per cent by 2030 – which the Clean Power Plan helps to do – global GDP would see a boost of $1.3 trillion. Moving the US to a safer, healthier economy is smart policy, and programs like the Clean Power Plan would allow the country to tap into the $54 billion in potential health and climate benefits.